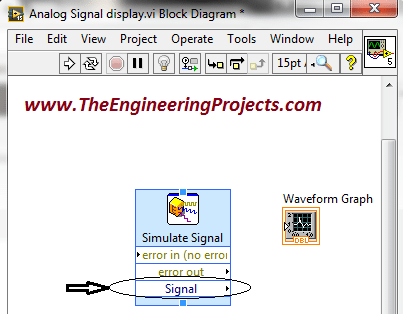 A complete step by step tutorial on Communication Signals Generation in LabVIEW. Hello everyone! I hope you all will be absolutely fine and having fun. 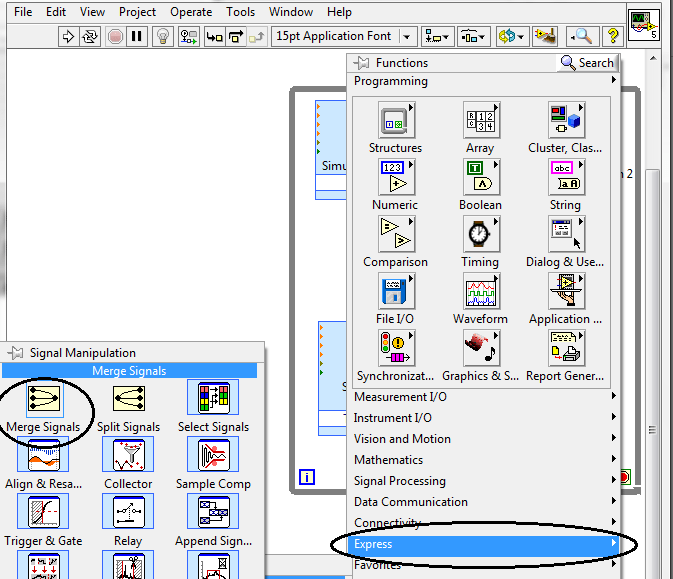 Today, I am going to share my knowledge with all of you guys, about Communication Signals Generation in LabVIEW. 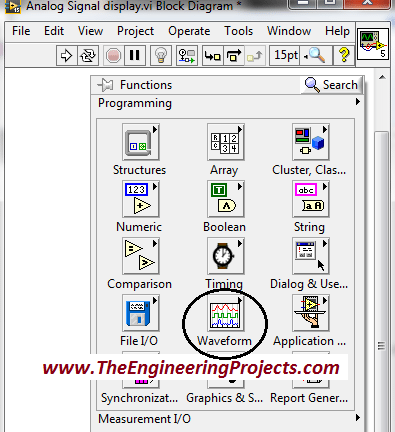 In the previous tutorial, we have seen the Introduction to LabView and after that we have designed our First Project using LabView Programming so if you haven’t read them yet then I would suggest you to read them so that you have the basic knowledge of LabView. In earlier days people used to convey their messages or some important notifications using a piece of paper and by delivering it to the other places with the help of the pigeons. It took a lot of time for the message conveying procedure because there are some notifications or messages in which such a huge delay could be dangerous e.g. someone’s death news or emergency. With the passage of time people started thinking to make this process faster. Graham Bell took the very first step to make this process faster. 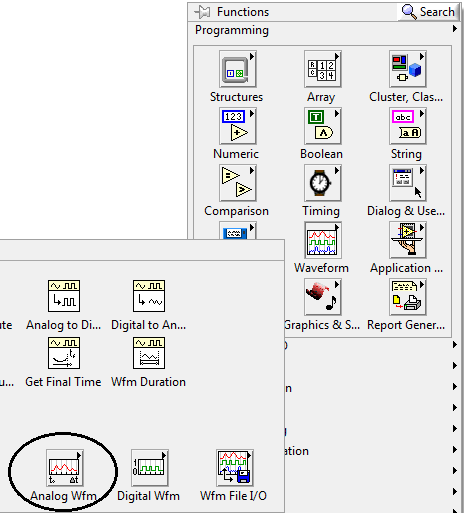 I would also recommend you to have a loook at these basic LabView Projects. Simulations are given in them for download. 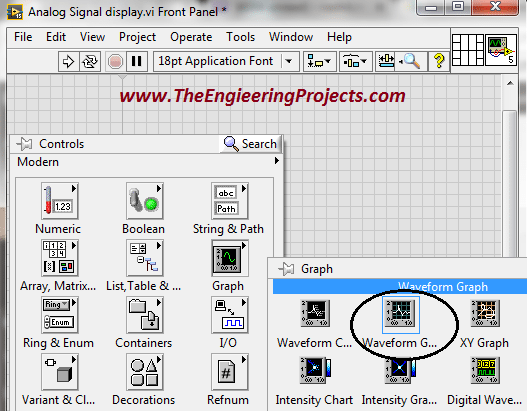 Here, I am going to start and elaborate you that how to generate simple Communication Signals in LabVIEW and how to play with them in this software. First of all we start with the generation of a very simple communication signal which is usually known as “Sinusoidal” or an “Analog” signal. 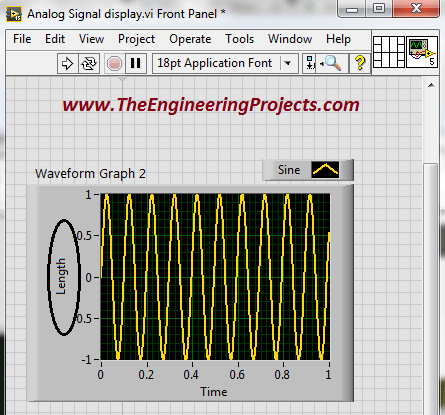 Go to the Functions-> Programming-> Waveform-> Analog Waveform-> Generation-> Simulate signal. 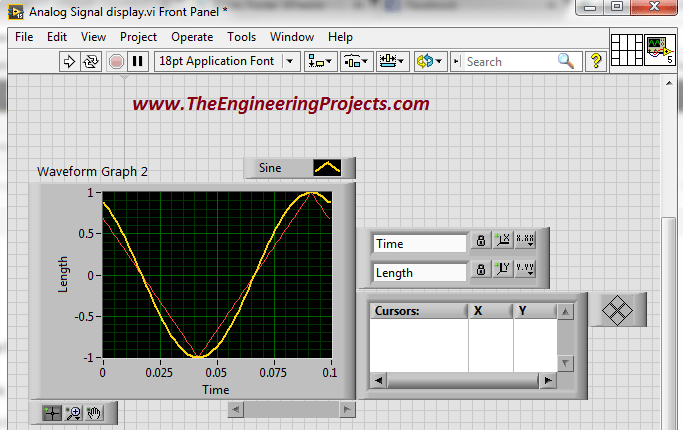 Put you cursor on “Waveform”. You can see the following window on your screen. Now put your cursor on the encircled block. You can see the window below on your screen. 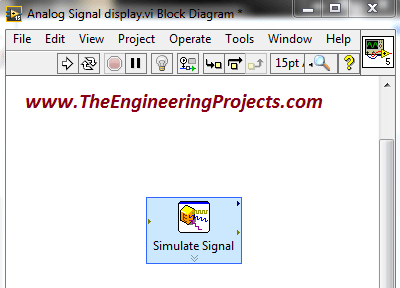 Now, select this “Simulate signal” and place it on the “Block Diagram” window. You can see this in a figure below. Here is the screen shot of that window. From this window we can set the properties of this window e.g. signal type, frequency, amplitude, duty cycle, offset etc. Now, you do not need to change any of its properties. Now, the signal is generated. 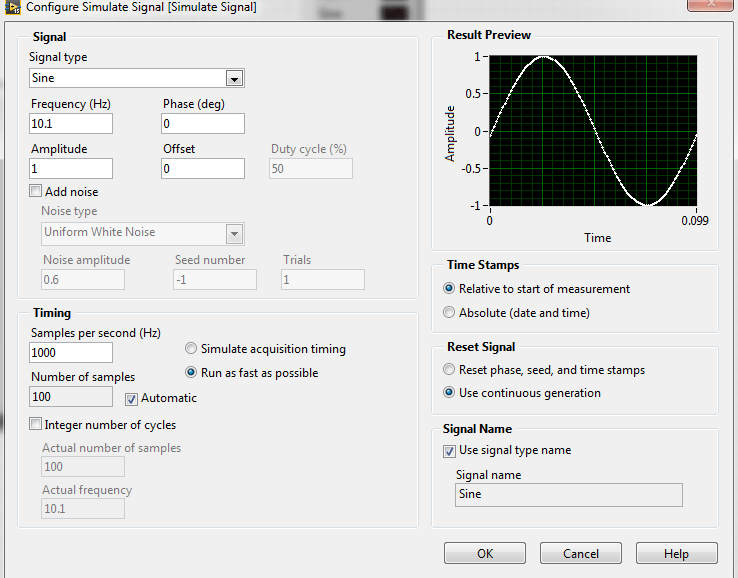 We have now generated an analog signal by using “Simulate” signal block and by setting the signal type to “Sine”. The above figure shows this step. 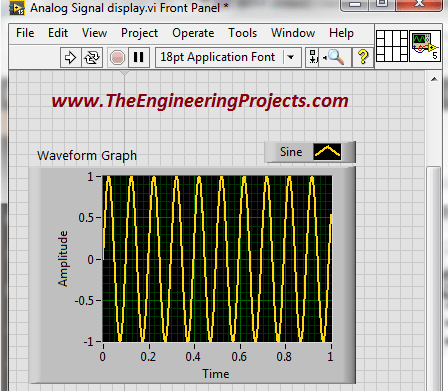 Now, we need to visualize the generated analog signal. 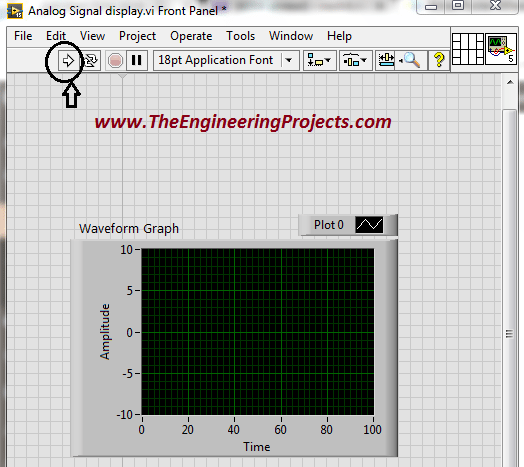 We can visualize the generated signal with the help of the “Graph”. 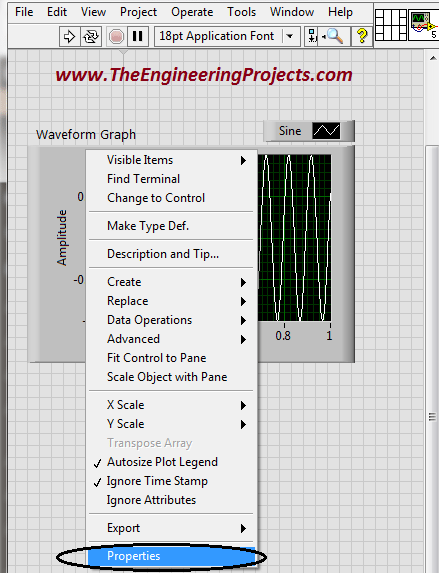 Go to Controls-> Modern-> Graph-> Waveform Graph. Select this block and place it on the “Front Panel”. You can see this figure on your window after selecting this block. Now go to the “Block Diagram” window. You can see it is looking like the window below. 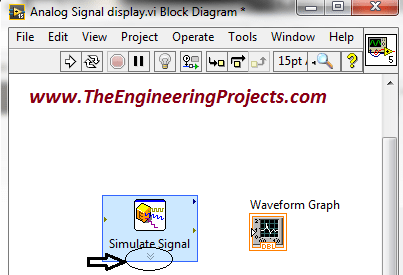 Now put your cursor on the bottom edge of the “Simulate Signal” block. Press and stretch it towards downward the direction. You can see that the block becomes like the figure below. 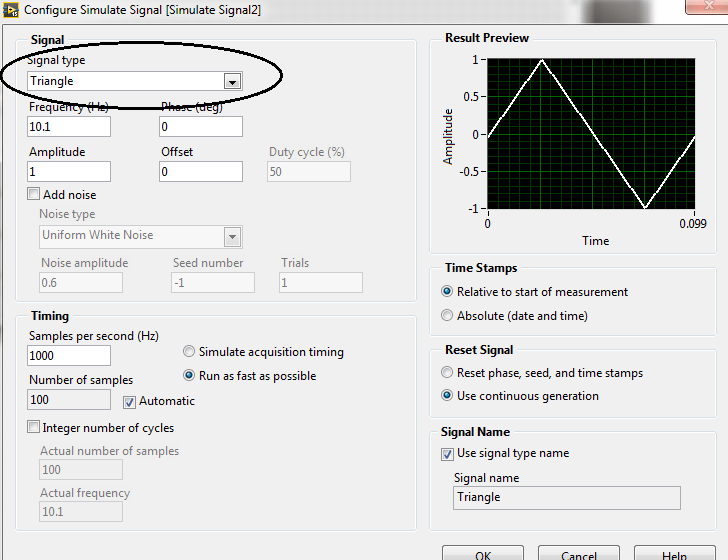 You can see, “Signal” is also appeared at the bottom of the “Simulate Signal” block. 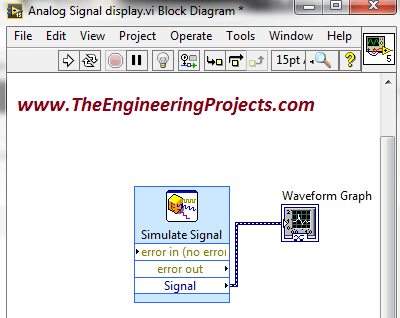 Now, connect the output terminal (Signal) of the “Simulate Signal” block with the input terminal of the “Waveform Graph”. The figure below displays the above steps. Now, go to the “Front Panel” window. Press the run button as the the figure below displays it . 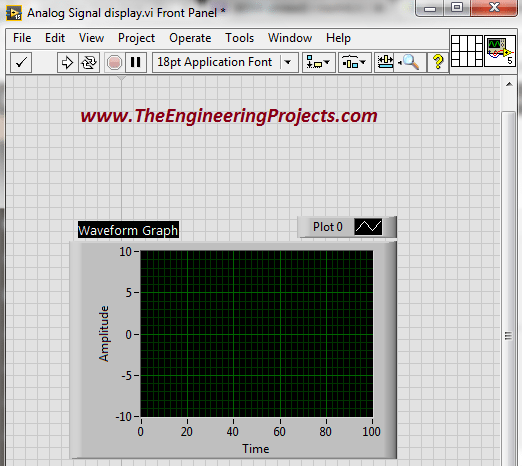 After running the program you can see the generated signal on the “Graph” placed on the “Front Panel”. 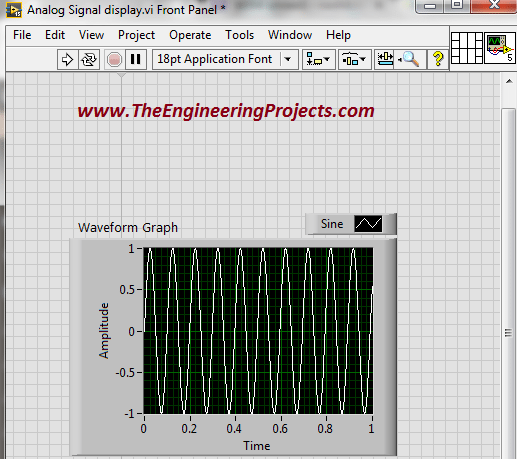 Here is the screenshot of the figure showing the generated analog signal. 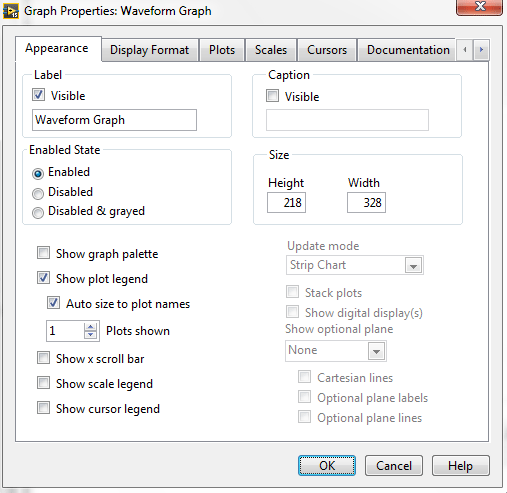 You can also change properties of the “Graph” to make its look better. Press “Right Click” on the graph and go to the “Properties”. You can see the following window on you screen. The different properties of the “Graph” e.g. length, width etc. are also changeable via this window. You can also the color of the plotted graph. 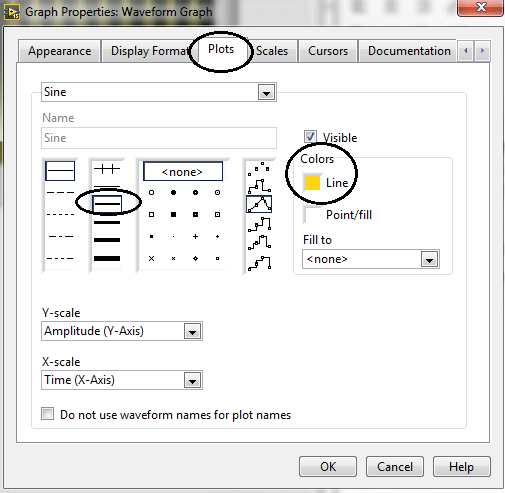 Go to the “Plots” option of the above figure. The figure below shows some steps. 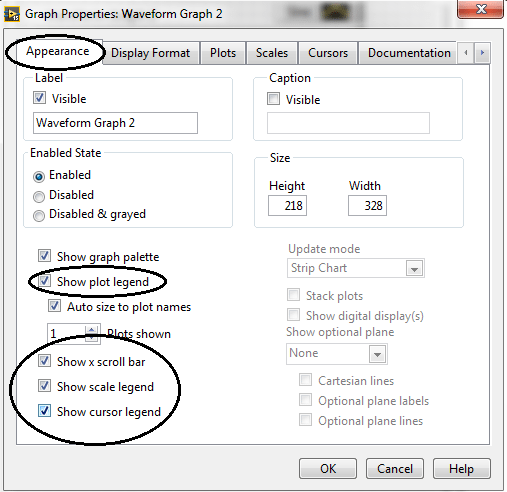 You can change the color of the “Graph” by following these steps. After performing these steps “Run” the program. You can see the color of the graph is now changed. You can also change the label of “x” and “y” axis. 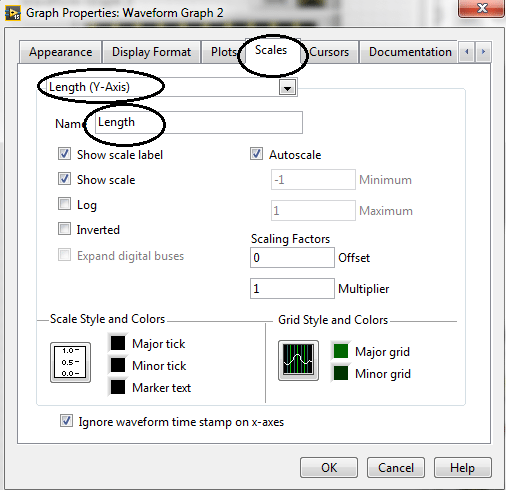 Go to the properties of the “Graph” and then go to “Scale”. Set the properties according to the figure below. The figure below shows different label of “y” axis. Now, go again to the properties and go to the “Appearance”. The figure below shows some encircled options. Now, go to the “Front Panel”. You can see the “Graph” is looking exactly like the figure below. 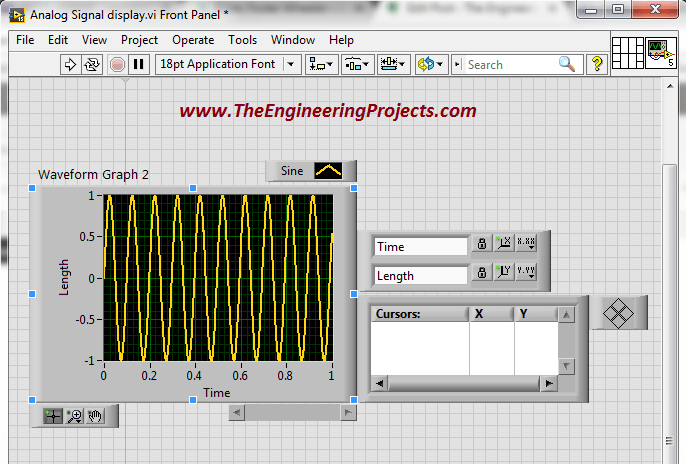 You can also plot two different signals on the same “Graph”. 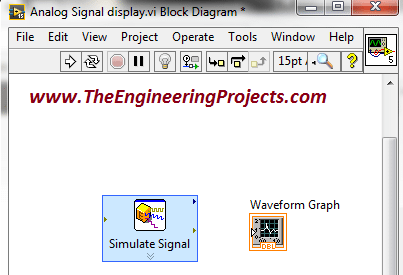 Go to the “Block Diagram” window and select another “Simulate Signal” block and place it on the window. The figure below explains the above all steps. Now, go to Functions-> Express-> Signal Manipulation-> Merge Signals. Select and place this block on the “Block Diagram” window. 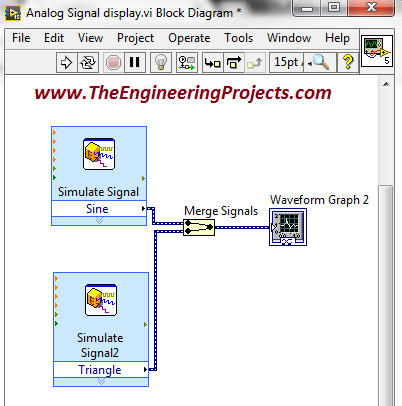 Make a connection between “Merge Signals” and “Simulate Signals”. The figure below shows the above steps. Now, go to the “Front Panel” and run the program. You can see both of the signals are generated on the same “Graph”. The figure below shows the illustration of above steps.